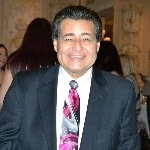 In Loving Memory of Honorable Jose Rodriguez "Chicky"
Thank you for visiting Chicky's page. Jose "Chicky" Rodriguez was a great man, known for his bright smile and his funny remarks. Respected in the community and in the courtroom, Jose was a beloved husband, father, son, and brother. Chicky dedicated his life to his family and is survived by his wife Mary Lou and his two sons William and Christopher. During his time off he was heavily involved and once President of the Dwarf- Giraffe Athletic League (DG) where he served as a sports coach and many other different positions on the board. He loved being in the kitchen at DG on the weekends just to serve hot dogs and pretzels to the DG community, and afterwards he would bring back home a bucket of chocolate chip cookie dough. He was an extremely hard worker and loved being around people and would host BBQ's any chance he got. His quick wit never failed to make someone smile. He is gone too soon but he we were beyond fortunate to have him for the most important moments in our lives. Chicky not only witnessed his son William get married in 2016 but also officiated the ceremony. He witnessed his son Christopher thrive and succeed in the court system, and was happily married to his beautiful wife for 38 years where they first met at the age of 17 on a blind date. We miss him so much and he was truly the best of the best. Every donation is meaningful to our family. I would be grateful for your support to help fight kidney disease.